Three amazing species. Three great books. 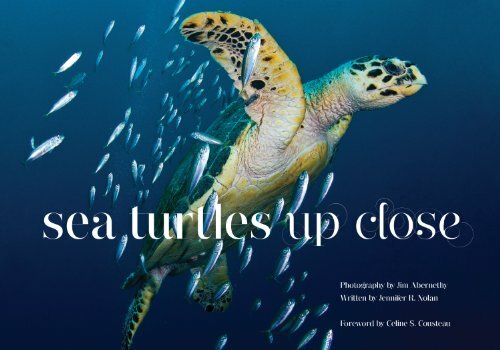 2014 Mom’s Choice Award - Honorable mention "Best of Small Press"
Sea Turtles Up Close takes you on a journey into their world by sharing intriguing facts, figures, and captivating photos of these magnificent beauties in celebration of their existence. When we deepen our own understanding of the seven sea turtle species, and come to appreciate the role they play in the ecosystem at large, there is only one thing left to do, make sure they survive for generations to come! Brilliantly transforming from surface to sea creatures over the course of an astounding 235 million years, sea turtles are considered sacred beings—even promoted as godly in some cultures. Most revered for their navigational mastery, longevity, and endearing qualities; there is much to learn about these graceful reptiles. Sea Turtles, up close, have a mystique and “magnetism” like none other. From their ability to journey thousands of miles in a lifetime, to their unique design, they are nothing short of amazing! 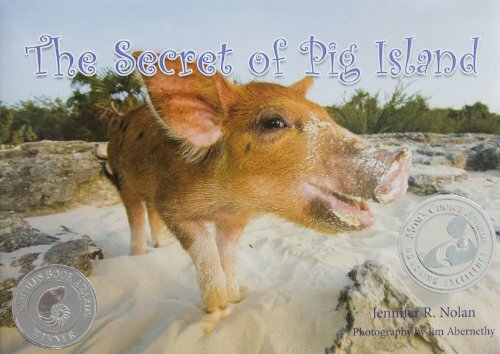 In The Secret of Pig Island, Plato the pig comes to life with a timely message that all readers, young and old, are sure to embrace. Enjoy reading, and adopting, Plato’s message of conservation wrapped in wisdom and love. We welcome you to pig island…a place where Plato, an adorable, little pig has a big message for humankind! When a young boy learns of a secret awaiting him on a tropical island inhabited by some curly-tailed creatures, he sets his course across the ocean blue. There, he meets a friendly family of pigs that are ready to share their wisdom about why we all must join together and care for our universal home, planet earth. From the foreward by Shawn Heinrichs: Sharks Up Close is one man’s quest to reveal the true nature of sharks and promote the many reasons we must protect them. Jim Abernethy is not only one of my dearest friends, he has literally forged relationships with countless sharks that are considered some of the most dangerous in the world—all in order to fulfill his life’s mission of proving they’re not out to hurt people and must be protected for a myriad of reasons. He is one of the world’s leading shark experts and brings firsthand knowledge about the behavior and plight of these animals. 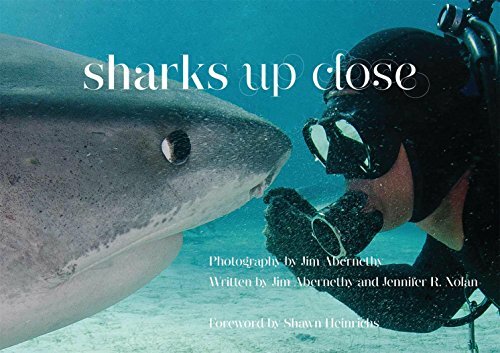 After decades of experience running shark expeditions—living at sea nearly year round since 1998—Jim knows better than most that they are misunderstood and in danger of extinction. Through his inspirational words, passion for the oceans, and captivating photography we are able to truly appreciate the magnificence and beauty of these majestic creatures.